"Vivaldi" are the Dogal strings for professional Violinists, entirely produced by hand in our Venetian workshop. An excellent response and perfect fifths are the advantages offered by use of a multi-filament synthetic core with a high percentage of carbon fibre, which also brings the advantage of reduced soundboard stress. 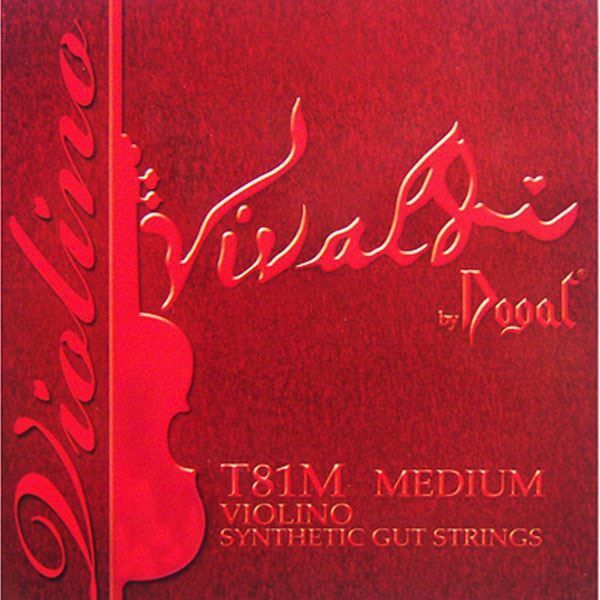 Dogal Vivaldi strings are available in Light, Medium and Strong Tensions. Re-D and Sol-G strings are in Aluminium for the series T81 while they are in Sterling Silver for the series T83.